Killed in action, Belgium, September 10th 1914 (recorded in the original College Roll of Honour as September 25th). Son of Col. George Augustus White (The Prince of Wales's Volunteers, South Lancashire Regiment) and the late Alice White, Clifton House, Godalming. Brother of Archibald George White (Ch. 1898-1901). A donation to the memorial statue has been made in memory of Geoffrey Stuart Augustus White by the York family. The White family lived in Hove for 10-15 years, at four addresses, 3 Melbury Avenue, 27 Lansdowne Place, 44 Lansdowne Street and finally 3 Pembroke Crescent. He was living in this house during the 1901 census (completed by his father). After the boys left Brighton College in 1903 they moved to Godalming. GSA White became a professional soldier after he left school. He attended the Royal Military College at Sandhurst and was commissioned on 4th March 1911 as a Second Lieutenant in the Prince of Wales Volunteers, part of his father's regiment, the South Lancashires. 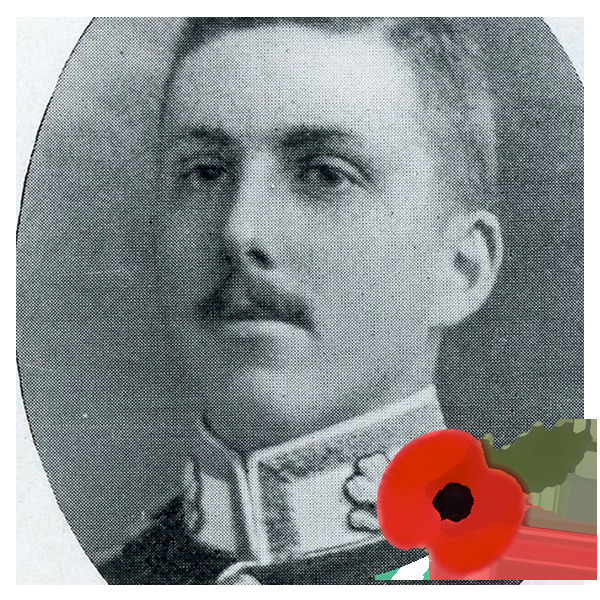 Like many other young men of his class he was a commissioned officer at the outbreak of the war in 1914. Lieutenant, 2nd Battalion, The Prince of Wales’s Volunteers (South Lancashire Regiment), 7 Brigade, 3rd Division. He was killed in action on 10 September 1914 at the battle of the Marne. He was 23. He was the son of Colonel George Augustus White (The Prince of Wales’s Volunteers (South Lancashire Regiment) and the late Alice White, Clifton House, Godalming. He is remembered on La Ferté sous Jouarre Memorial.